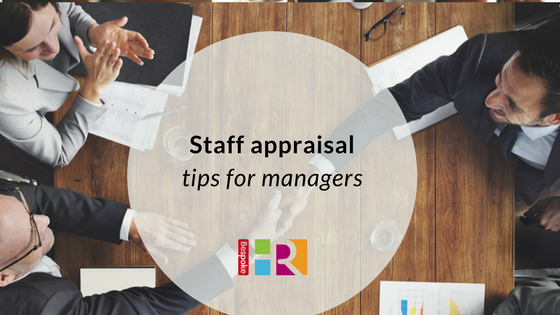 Consider scrapping the traditional formal annual appraisal and opt for year-round continuous feedback. Continuous feedback enables businesses to keep employee’s performance on track, deal with any performance issues as they arise, review and revise goals and objectives on an on-going basis and spot where support, training and development may be required. Set objectives together – increase employee engagement by developing a set of goals in partnership with your staff, ensuring they understand how their objectives support the wider business goals. In doing so, your staff will feel involved and invested in the business. It also gives them an opportunity to steer their own development. Structure your meetings – set a clear agenda whenever you are reviewing performance, this will also help you both to get what you want from the meeting. Consider other sources of feedback– ask other staff members to comment on performance to get a more rounded picture of how someone is performing. If you’re using an online performance review system you can set tasks for peers, direct reports, as well as line managers to periodically comment on performance, providing 180 or 360 degree feedback. Create an opportunity for open and honest two-way feedback – reviews should be a time when employees can raise any issues in confidence and feel they are being listened to. Recognise and reward success – be sure to highlight achievements where relevant and set goals based on these strengths as well as areas to improve to help motivate. Follow up – agree the steps or milestones for each goal or objective set – against which progress can be monitored and measured. This can form the basis of your dialogue at your regular review meetings.